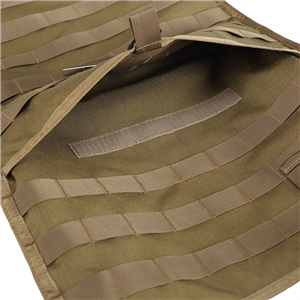 Tired with the complex installation for your car seat cover protector? Fed up with the same style? 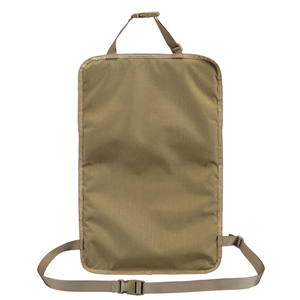 Want to carry your needs stuffs when you go on off roading trips? 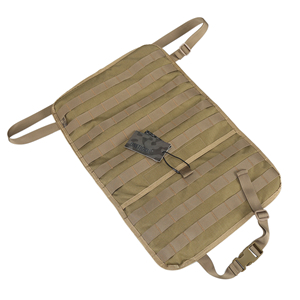 We know outdoor enthusiasts may get a few tool pouches in hands, so we design this neat Molle car seat back organizer for you to attach your pouches. You can also attach your personal gears or your machete & survival knife to this panel as your DIY car seat panel. A simply way to protect your car backseat and increase storage space with your extra tool pouches. This one made by 1000D nylon with soft padded lining. 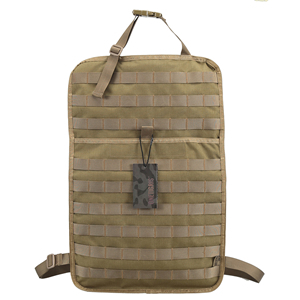 Designed with 9 rows of functional Molle straps. 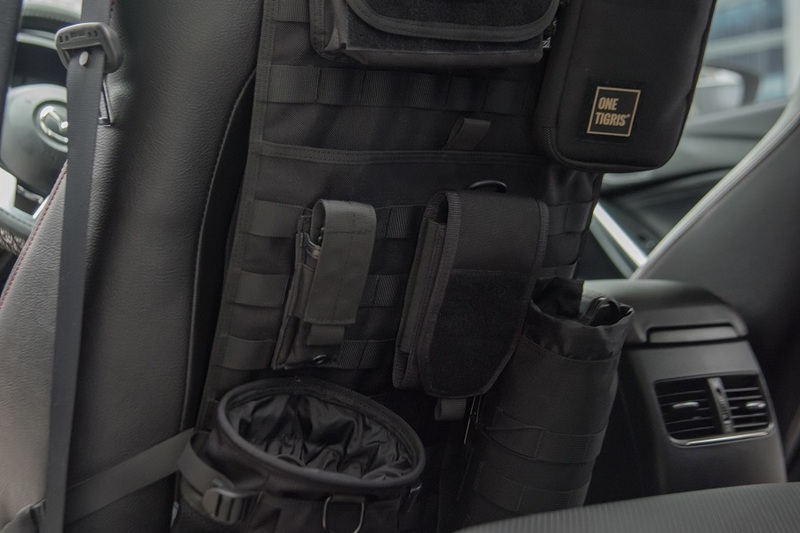 Providing a longer protection from all kinds of stains to your car seat back, also giving you the options to attach your own Molle pouches to increase your car's addtional storing space.